The Palestinian president fully supports Donald Trump’s call on Israel to “pull back” on settlement expansion, but is yet to comment on a trending idea that a peace deal might not necessarily include an independent Palestinian state. The Palestinian presidency “demands that [Israelis] agree to [Trump’s call] and that of the international community, to halt all settlement activities including in occupied East Jerusalem,” a written statement issued by Mahmoud Abbas’ office said. Trump on Wednesday asked the Israeli Prime Minister Benjamin Netanyahu to temporarily hold off on building new Jewish settlements on land claimed by Palestinians for their future state. 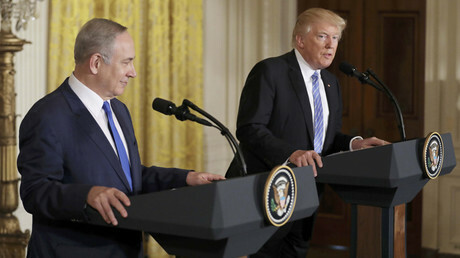 “The United States will encourage a peace and really a great peace deal” between Israel and the Palestinians, but they have to negotiate it themselves, Trump said at a joint briefing with Netanyahu in Washington, DC. Trump’s statement that the United States would no longer insist on an independent Palestinian state as part of a peace accord between Israel and the Palestinians is a shift from the long-standing US policy which envisages a two-state solution. Before Netanyahu's meeting with Trump, a White House official also noted that the US is serious about the Middle East peace process but is not insistent on a two-state solution. While an anathema to some Palestinians, the Palestine Liberation Organization(PLO) Secretary-General, said that one state solution could be possible if that state extends equal democratic rights for all. “Contrary to Netanyahu’s plan of one state and two systems, apartheid, the only alternative to two sovereign and democratic states on the 1967 border is one single secular and democratic state with equal rights for everyone, Christians, Muslims, and Jews, on all of historic Palestine,” Saeb Erekat said Wednesday during a meeting with the speaker of the UK House of Commons, John Bercow, in Ramallah. Erekat’s comments contradict Palestine’s official position which still imagines the establishment of an independent state within 1967 borders with East Jerusalem as its capital, but rampant Israeli settlement expansion has virtually rendered this dream unviable. Israeli settlement activity in the West Bank and East Jerusalem following the 1967 Six Day War has been one of the major stumbling blocks in the peace negotiations. The last peace effort to reconcile the conflicting sides brokered by then Secretary of State John Kerry collapsed in April 2014. The issue of settlements has been widely publicized in recent months after the Obama's administration abstained from voting on what Tel Aviv called an “anti-Israel” UN Security Council settlement resolution. Trump and his team voiced concern over the adoption of the UNSC document and sent out messages which indicated that the new administration would not oppose Israeli settlement expansion once in office. While the official White House position has changed, Israel, prior to Netanyahu’s visit to the US, went on to approve some 6,000 new settlement homes since Trump’s inauguration. 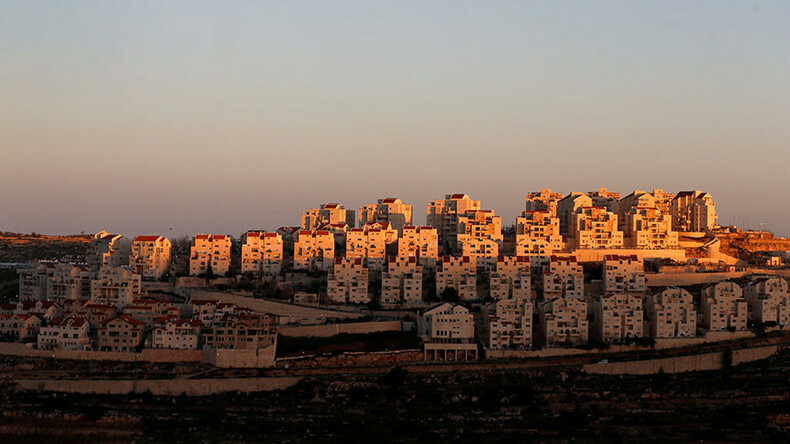 The Israeli parliament has also approved the legalization of nearly 4,000 settler homes in Area C of the West Bank as it passed a controversial retroactive bill. It is yet to be seen if Ramallah changes its official position on the two-state solution. So far, some senior Palestinian figures and the UN Secretary General have reacted angrily to Donald Trump’s assertions that a sovereign Palestinian state is no longer an essential part of a peace settlement in the Middle East. Hanan Ashrawi, a senior PLO politician, said Trump was pandering to Zionist nationalists with his about-turn of US support for the two-state solution, originally and publicly proclaimed by Bill Clinton. The UN Secretary-General Antonio Guterres also reaffirmed his commitment to giving Palestinians statehood as a result of any peace talks. “There is no alternative solution for the situation between the Palestinians and Israelis, other than the solution of establishing two states, and we should do all that can be done to maintain this,” he said during a visit to Cairo. The developments in Washington drew condemnation in Israel. “Every Israeli should be concerned tonight about the very concept of one state between the sea to the Jordan, which means no Jewish state. This is a very dangerous disaster and we will fight it in every way possible,” Herzog said, the Jewish Standard reported.